I saw an interesting question posted on Twitter last week by Scott Lowe. To paraphrase: why don't users volunteer to speak at VMUGs? (He has a great post that you should read to see what he's doing about this.) Scott's question got me thinking about my experience with the Maryland VMUG, and I'd like to share an observation on why I think most customers aren't eager to step up and grab the mic. VMware is streets years ahead of most of its customers. VMware is forging ahead with its technology and continues to lead the compute, storage, and network virtualization space. The company needs to set the pace to keep its competitive advantage. 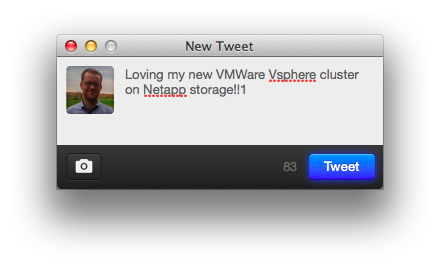 VMware geeks like me eat up new VMware technologies faster than we can refresh our Twitter streams. But what about the actual users of the software? Where are they? In my time with Chesapeake NetCraftsmen, I had the opportunity to visit many, many sites that were in various stages of deploying VMware products. Federal, healthcare, commercial, financial... all using VMware. But were they using the latest and greatest innovations? Of course not. In some cases, they were using 4.0 ESX. Some were using stand-alone ESXi hosts because they didn't need the protections offered by a cluster. Some were using 4.1 ESXi and didn't see a reason to change what was working. But the common theme was that many customers, especially the SMB segment, were still working on their first or second implementation of vSphere. Now keep in mind that it's typical for a VMUG meeting to include a technical marketing session for a vendor or two. (And this is good! Someone has to pay for that delicious food!). These presentations are GREAT for VMware geeks, because we get some face-time with smart people, and can ask good questions to learn something new. But can you blame a customer, who is trying to figure out how to build a cluster or work with a vDS, for not wanting to follow a cutting-edge presentation? Even if you don't know what you're doing, you know when you're behind. Again, I understand that VMware can't afford to sit still; look what's happening to BlackBerry this week. VMware needs to innovate and drive their business forward. I think we all understand that. But don't be surprised when many of their customers fall farther and farther behind as the gap between innovation and implementation widens. What if, once a quarter, we could have a VMUG meeting without vendors? Just VMware users in a group. No intimidating presentations on server-side caching, or vCAC integration, or anything that's too far out from where most users are. Instead, just a few hours of customers talking about their progress, their successes, and if they are willing to share, their failures. I suspect we'll foster some great discussion amongst peers, and maybe even solve a problem or two in the process. sTop THe MadNess - CamelCase has got to go. The stuff vAneurysms are made of. You'll be able to hear the vExperts collectively lose their minds*. Purists insist on accepting only the corporate-approved capitalization of company and product names. But can you blame filthy casuals regular customers for making a mistake? Even VMware can't keep it straight (at last week's MDVMUG, a few VMware guys shared some slides that contained the most common error: VMWare). CamelCase is thriving in this 140-character age. Who wants to waste a character on a space anyway? #NotMe. Plus it looks cool, right? But for customers who care less about the vibrant, detailed-oriented virtualization community and its affinity for being technically correct, the capitalization of tech company names and their product lines is largely ignored. Their concerns lie in the functionality of the product and its ability to support their businesses. Cut them some slack if they screw it up and tell you they're using Vmware. Share the correct capitalization of the word and move on to solving problems. 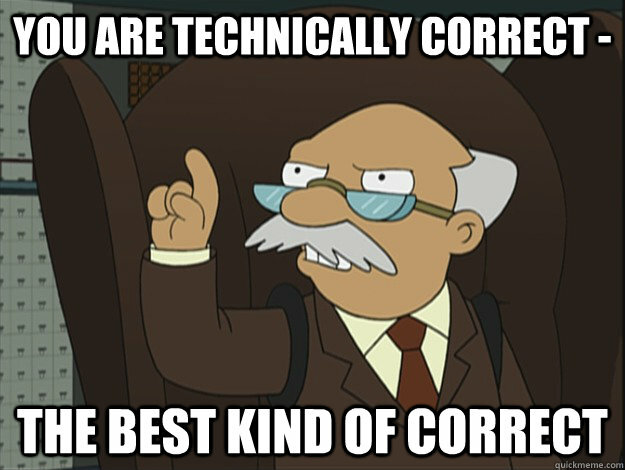 The CamelCase isn't consistent across products - vSphere set our expectations, but then we got dvSwitches, and now VSAN. 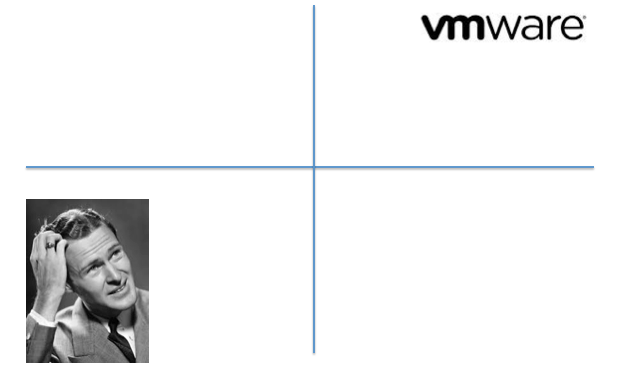 VMware can't even get it right - Internally-produced slides and other marketing material are (well in fairness, were; seems like they've improved lately) littered with Vmware and VMWare. So don't let it get to you if someone has some vMware questions to ask you. Or if they need help with a vSan. Just help them out. So. You decided that you'd rather use VMware's VMTools package on your Fedora19 VMs than the open-vm-tools package that's installed by default? No worries. Here's how to load VMTools on Fedora19. This will locate the open-vm-tools packages and prompt you to confirm their removal. Now open-vm-tools is gone from your Fedora19 system. YUM will find the packages needed to install Perl, and prompt you to confirm the installation. Once YUM has finished installing Perl, you're read to go on. Just to clarify: when you choose to Install / Upgrade VMTools on a VM from the vSphere Web Client (or even that old and busted vSphere Client), you're actually mounting an ISO to the VM. The ISO contains the packages to install the tools. Once you've started the Tools install from the client, go to your Fedora19 VM and open the ISO with Files. Select the VMTools package, and Extract it to /tmp. You'll now have a directory named /tmp/vmware-toold-distrib. As usual, unless you've got a good reason to choose otherwise, you can accept the defaults during installation. Once you're done, VMTools will be running and current. Just log out and back in (or restart) to enable the graphics-related features in VMTools.